Bill Murray is the cynic reporter trapped in Punxsutawney, reliving Groundhog Day over and over again. At first he takes advantage of the situation, something I’m sure we’ve all wished we could do at some point – a day without repercussions – before becoming a changed man and finally escaping the loop. One of Murray’s funniest movies and a sweet romantic comedy to boot. And why is 1993 special? Because that’s when PK Hrezo was twenty and she remembers a life full of friends, music, and possibilities! 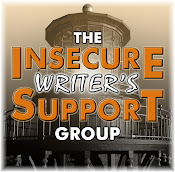 I’m at the Insecure Writer’s Support Group website today, posting about genres. There have been some great topics there for the Challenge – if you’re a writer, I recommend following the site. I also need a couple more co-hosts for the IWSG in May, and for the months following. If you would like to co-host, let me know what month(s) you are available. Thanks! 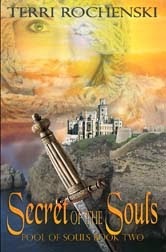 Coming soon – Secret of the Souls by Terri Rochenski! And over at Blastr, they have a dozen images and posters from X-Men: Days of Future Past that blend the past with the present. Seen Groundhog Day? (Over and over and over…?) Following the wonderful PK Hrezo? Picking up some new reads? Excited about the upcoming X-Men movie? And what do you remember best about 1993…? Groundhog Day is the best! Can never get enough of that movie. Two A to Z's in rapid succession! Are you ahead of yourself, or am I behind? I do follow PK Hrezo, and think I found her first through you. And I love my Dyson - though it wasn't one of the first. Groundhog Day was a great movie! It's one of writer/director Harold Ramis' best films, and it's so sad that he recently passed away. I love hearing the back stories on your featured bloggers, and it was nice learning more about PK! My husband and I watch Groundhog Day every February. It's our favorite movie. We're kind of nerdy that way...we can even quote lines. In 1993 I remember thinking I have too many kids, lol. I do remember seeing all three your movies though. And yes, I saw groundhogs day over and over - not that I like the movie so much, but all my family does. Uck, what we do for the love of family. As a PA resident who grew up not overly far from Punxy, I can completely sympathize with Bill Murray's character in Groundhog Day. One of my favorite of his movies. 1993 was a great year for our family: our oldest son was born. I don't think I appreciated Ground Hog Day as much as I should've when it came out. I probably need to watch it again (and again). I'm not excited about XMen, but excited to meet PK, because I don't think I have. Thanks, Alex. This post was on my blogroll all day yesterday, but it didn't actually post. The prices of homes were insane in the 90's. The Boom was big, but the bust was bigger. The nineties were good for me as that's when my kids were still young and thought I was cool. Didn't remember much from Groundhog Day although I can imagine how annoying it'd be to run into the same guy everyday and have him go: Phil, is that you?!? (Or something like that). I'm excited about the new X-Men movie. PK Hero looks amazing, end of story. Ground Hog Day's premise might seem great on the outset but eventually it must get scary for the person experiencing it. Groundhog day! The hubs favorite day of the year. No lie. No clue WHY, but there it is. Magic the gathering - LOVED it! Thanks, too, for sharing in my cover reveal today. You're the best!! I adore this movie so much. It's so clever. I love looking at the lives of bloggers and where they were during these years. Congrats to Milo and Terri. Good day Alex re-done F and also done G.
Caffe, you remember the movie better than you think you do! Terri, that is really odd. But funny! And you're welcome. Brian, we still have several decks somewhere. I could watch Groundhog Day over and over again. No pun intended! Ground hound day is a great movie, one that can be watched over and over again. Actually I want to watch it now :) 1993 we had Marines living in our motel and I got to ride in a military helicopter to a battleship, where I got a tour. Pretty amazing. Loved Myst! That game was so cool when it came out. I saw Groundhog day in theatre in Germany. They let you drink beer in fine mugs there. So awesome. As a result, I had to see it again because I drank a little too much the first time around. I used to love playing Myst. Ahhh, memories. I can co-host IWSG in May, June or July. Alex, I have a technical question, since you're computer savvy. Google Chrome is hating me. I can't Join or Follow any new Blogs. Even though I'm logged in, when I press the Join button it wants me to login again and the little box keeps refreshing after I put in my password. Any quick answers? RIP Harold Ramis. This, to me, is the perfect movie. Groundhog Day is infinitely watchable. I still say "it's a doozy" whenever someone steps in a puddle. There is just something about Bill Murray that makes you laugh, despite yourself. To me Groundhog Day is one of those movies you love to hate. You start watching telling yourself you're not going to watch it again and before you know it, the movie ends. Another great year remembered. I don't usually watch movies more than once, but I watch that one! Great movie. I was trying to encourage my son to watch it the other day. Didn't realize 93 was when we were awarded the Panthers here in NC...very cool! I never saw Groundhog Day. My brother did though, he told me it it's a good and funny movie so I'll give it a shot if it comes on tv again. I've seen Groundhog Day and Groundblog Day, several times. Yes, I follow PK all over the place. "X" is "X-Men." Huh. I can't believe I missed this one. I just noticed that Bobby/Iceman is the guy that I really enjoy watching on The Following. I never put it together until I saw that movie poster. He must be a really good actor! I can't do IWSG in May but if you need me in the summer, just let me know. What a great year for movies. Loved Groundhog Day and the Fugitive and Jurassic Park is one of my all-time faves. Jurassic Park was such a hit. I loved that movie. Have not seen grounhog day, though. Your post makes me feel a deja vu as I think I saw it yesterday on my feedly. I saw Groundhog day once, I am certain. If it is the movie I am thinking of, then I really liked it. It has been one I've wanted to see again but haven't gotten around to. Excited for the new X-Men movie. I need to get caught up on the old ones first though. Aw shucks, thanks Alex. What a nice surprise to be featured here today. Groundhog Day is one of our faves too. We quote it all the time. Bill Murray is hard not to love. I met him at a party once and he was so down to earth and fun. He was taking out the trash. Apparently there's a whole website dedicated to people's random stories meeting him and he's always doing some kind of house work. How funny is that?? Makes me love him even more. Seeing Jurassic Park in the theatre even beat out Avatar. I was on the edge of my seat the entire time! I saw Jurassic Park in the theater with my parents. I was 7 years old at the time, and that movie kickstarted and intense love of dinosaurs that still persists to this day. I can help co-host IWSG any month, so just let me know! Jurassic Park and the Fugitive were two awesome movies, Groundhog day I've watched many times too. Wish Murray would pull the stick from his arse and make some fun movies again. And my husband loves that Groundhog Day movie! Elsie, some films could benefit from drinking. Cathrina, other than dump Google Chrome? Sorry, no quick answer for you. Elizabeth, over twenty years now! Thanks, Heather. Don't blog angry. PK, you're welcome, and awesome you met Murray. In 1993, I was a new college grad and zookeeper wearing penguin-poo stained overalls and flinging fish to my wattling wards. Needless to say, I was not dating anyone at the time. Groundhog Day--loved it. Bill Murray rocks. Aww Groundhog Day. How many times have I watched it? Great movie. Your blog was hiding from me this morning. I actually saw all those movies, Groundhog Day and the one's you listed. How about that? Groundhog Day - a classic. And maaaan I love Jurassic Park. It still looks amazing to this day. I think Bill Murray is an actor who has modeled Jack Lemmon, but always far from over it! Oy, I have seen Groundhog Day over and over. I love that movie. I also like the other releases you mention here for 1993. I love Pk - she is wonderful. Groundhog Day + Bill Murray x 10 = warm buzz x 80 = broad grin. Fun Stuff! I remember loving Groundhog Day! Loved your post at the IWSG site on genre. Jurassic Park is one of my favourites. I don't remember seeing GD... too bad - loved Jurassic Park and Cliffhanger, back then, but find them a little over-the-top nowadays- getting old and cynical. DL was one of my fav bands (although they have fewer fans compared to the heavyweights in their genre). I've had enough of XMen, especially after the first prequel. Hey Captain Alex! I can perhaps co-host in May if you tell me what to do? I liked Jurassic Park right up until they decided to go ultra violent with it and then nothing else. So the storyline was lost and it became a T-Rex free for all... Yep, loved Ground Hog Day! Love Bill Murray! I'll wait to see the X-men on DVD. Too much fighting anymore and not enough story... 1993 our daughter turned 3 and she was so adorable, lovely and blessing to our lives...still is twenty years later! Uh, I think it goes without saying I'm excited about the new X-men movie...ha ha. Groundhog's Day is a classic. We watch that all the time when it comes on tv. Jurassic Park is another classic that channels like FX likes to play and we always watch if it's on. Again and again, kind of like Groundhog's Day! Can't wait for X-men. Groundhog was an interesting movie, but it's one of those that you can only watch once. I'll help co-host ISWG whenever you need it. 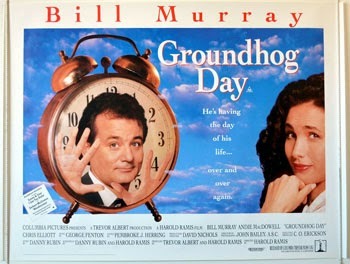 Groundhog Day is sweet and funny - great movie! PK rocks!!! Congrats to Milo! And yes looking forward to the X-men movie! And 1993 was the year I went to my first fencing tournament. En Guarde! Groundhog Day - and Jurassic Park - is one of May favorite movies of all time. Must have seen it so many times that I, well, let's just say someone dropped a tray at the restaurant was at a few weeks ago. I shouted, 'Just put that anywhere, Pal' and not a single person clapped. I felt the whole world got just a little lamer. I saw Ground Hog Day over and over. I kept thinking, it will be different. Slow learner. As to co-hosting the IWSG, yes. June works best for me, but could also do July. Jo, that's damn good! Sorry, probably hiding because this post went live a day early. Trisha, that's cool. Ever seen them in concert? I did almost twenty years ago. Rekha, Def Leppard were master song crafters though. Yup, PK doesn't look much older than 20. Groundhog Day is one of those movies I've caught bits and pieces of, but haven't actually watched. LOVE Groundhog Day! It's one of those movies I've watched again and again. Yay for PK! 1993 was my first year of university and the building of a student loan debt which I'm still paying off today! I loved Jurassic Park and Ground Hog Day! I didn't know PK was a flight attendant! I bet she has some good stories to tell! I should probably just email you, but I'd be happy to help co-host in June. I LOVE Pk. She's my launch buddy, and honestly, if you search my book, hers usually pops up too. Haven't check the reverse, but it makes me chuckle. Groundhogs day is one of my favorite movies :) Great g word! I've never seen Groundhog Day, but saw and liked Jurassic Park and the Fugitive.I'll check out PK's blog. The Dyson is literally my favourite invention ever - I am a weirdo who loves vacuuming lol! Wow some classic films released in 93, huh? I loved Ground Hog Day. Loving these retro posts Alex! WOW your post made me appreciate just how good 1993 was! And love the movie Ground Hog day in fact I think I live it each day. It has been a big part of Hell Week around here. I slip in GROUNDHOG DAY whenever my day has been grim. A great movie. I just got back from CAPTAIN AMERICA:TWS -- and I truly enjoyed it. I hope they divert from the storyline in the comics and do not kill Steve in the next movie to make Bucky the new Cap. If they do, I will be really upset! The previews for the new X-MEN movie look great, too. Groundhog Day? Hey, I've seen that movie! I love Groundhog Day. Excellent movie. I remember going to see Jurassic Park with my dad. He had read the book and just kept saying, "I don't know how they plan to make this a kid's movie." Ah, good times. one of my all time fav movies! Have a super day over and over! Hi Alex! Groundhog Day is one of my all time, and I seriously mean all time--favorite movies. I can probably recite that one word for word! "Are you drunk?" "No, drunk is better." I love Groundhog Day. So cute. We played Magic the Gathering when it first came out. My husband always beat me. Probably explains why we don't play anymore. I remember seeing Jurassic Park in the theater with my very small boys. It was incredible. Am looking forward the Xmen movie. I started my first Russian historical at the end of January 1993. I probably had no idea I'd take a bit over 8.5 years to finish it, another three years for editing and rewriting a decade after finally finishing, or that my female protagonist was really in love with the guy who started out as supposedly just a friend. The computer I started it on is long gone, but the disks have had a longer life than the computer. Harold Ramis movies are feel good entertainment. But the movie I really remember from that year was Jurassic Park. The concept of recreating dinosaurs from trapped DNA was a fascinating one to ponder. Sherry, I bet she does! Kyra, you are welcome to come vacuum my house. Roland, I heard Bucky took on the role in the comics. I hope that doesn't happen either. Elizabeth, it had dinosaurs, that's how! Carrie-Anne, I'm stunned you still have the disks! Can we please go back to those 1993 home prices please. 93 was a good year. I was majoring in Intramural Flag Football instead of whatever it was I was supposed to be majoring in. IFF apparently wasn't a degree, who knew? I've never seen Groundhog Day. I didn't see Jurassic Park until a few years later; my parents were convinced I'd be too scared. 1993was the year our dog had puppies. I was 11, so I think that was the highlight of my year. I love Groundhog Day. In fact, millions love it. Author Alex Sokoloff does a thorough scene breakdown of GD on her blog. It's an excellent learning tool, or for those of us stuck in a WIP. Alex writes for TV mostly. One of Murray's fines movies (IMHO)and a wonderful story as well. I'm pretty sure that we'd have significant iPod wars if we were traveling together. Just saying. Checking out PK's stuff soon. 1997: That was the year an event took place that grew into a story that was accepted by Chicken Soup books last year. I tried earlier and the comment form didn't come up. 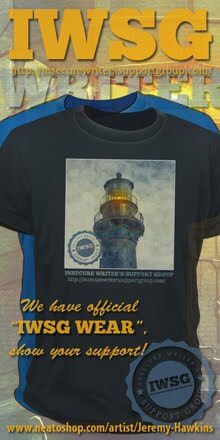 Thanks for advising to join IWSG. Already a follower of PK., but reminded me to comment there since I hadn't been over for some time. Groundhog Day - good film. The Fugitive has to be one of my favourites. Fantastic blog as usual, Alex. Jurassic Park and the Fugitive were both really good movies. Bill Murray is hilarious! Joylene, she's a screenwriter? Cool. Dean, that's cool. And I can battle with either my iPad or my iTouch! Fanny, sorry you had trouble earlier. I love Groundhog Day. Looking forward to the new X-Men movie and I agree about Pk. She is a wonderful blogger friend. Love Groundhog Day. So fun looking back on what happened in the year. I could co-host for IWSG for June! Love Groundhog Day. Hubby gets impatient with it, but love his growth as a character. I cannot stand Groundhog Day... and I LOVE Bill Murray! I don't want to relive a single day over and over. It gives me claustrophobia. If forced to relive something in a film, I far prefer Jake Gwyllenhal in his great turn as a soldier, who must return to a disastrous train accident over and over...until he saves the train. It is called Source Code, and it is pretty intense. Gosh I must watch Groundhog Day and the Fugitive again. These movies are totally epic. I'm looking forward to catching X-Men. I wonder will Patrick Stewart be in it? I love Groundhog Day although I can't for the life of me think why. I love Groundhog Day although I can't for the life of me think why. I love Groundhog Day although I can't for the life of me think why. Jean, I saw Source Code in the theater - very underrated film. Fe, I like that idea. Oh yes. Say "X-Men" and I start to drool. Groundhog Day is my favorite movie (well, one of them). Bill Murray was and still is awesome. Groundhog Day is still my go to happy movie. Everyone, I won't be able to visit all who left comments tonight, but I will visit tomorrow!!!! Groundhog's Day is an awesome, timeless flick. I live less than 2 hours from the little town where they filmed it. I remember when Jurassic Park came out. I was pregnant with my first baby. I love Ground Hog Day, and I have seen it over and over and over. Ahh, Groundhog Day. Classic movie. So glad Bill Murray finally figures out how to make the most of his day! Did not realize Dyson came out with their vacuum in '93. For some reason I thought it was more recent than that-just goes to show, I'm a little behind with the times! Yep, following PK--she's great! Looking forward to getting to know her better. I can co-host the IWSG in June. Not sure what to do though, so just let me know. Thanks! Bill Murray is so fun! PK looks great-a kind and generous soul! I have a Dyson-love it! 1993-I was in Maine fighting to get my son into school-birth date issues, in other states. Where were you Alex?! At the movies or rocking out?! I have seen Groundhog Day over and over and over... It is a favorite in our house. 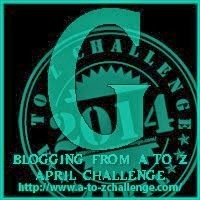 Love your 90s themed A-Z! Groundhog Day was definitely a favorite. I missed you yesterday. LOVE Groundhog Day-very funny and gentle at the end too. Love the X-Men series (and Patrick Stewart). In 1993 went to Europe and had a beautiful time visiting mostly Austria and falling in love with the beauty of it all over again. PK is great! Another awesome choice! We went to see Jurassic Park for our first anniversary and were blown away with the special effects. They've stood the test of time, too. Also a great movie. "It's Groundhog Day!" I can't get enough of that movie. Love it! Ground Hog Day is one of my all time favorites. Hey, that's a way to become immortal. Purposely screw up the same thing every day. Forever. Groundhog Day is a great film. 1993 was a tough year. I think I was divorced from my second wife that year but I don't remember for sure. How did I miss this one? Groundhog day is one of my favorite comedies. Actually all the movies today are amongst my favorites. Groundhog Day is my all-time favorite movie. Hmm, Def Leppard, eh... I think 92 or 93 was the year I almost missed a school bus home from a class trip because I was busy in a music shop buying Def Leppard tapes! I'm looking forward to the new X-Men -- and thanks for the "Boom Town" plug, Alex. I'm excited about Wolverine on screen again. That's my favorite treat.